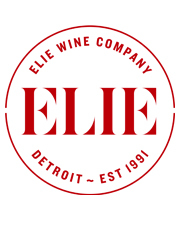 Last night was a good night to be a fan of classical music and food in Detroit. To launch Detroit Symphony Orchestra’s Beethoven Fest, the public was invited to a 14-hour Piano Sonata Marathon featuring back-to-back performances of all 32 solo piano sonatas by Beethoven. The Artist’s fingers were flying — sometimes attacking, sometimes caressing the keys. Listening from the back row of the Music Box of the Max M. Fisher Music Center we went from calm and sleepy to battle ready and back again in a matter of minutes. Local food pop-up Schnäck was there with a short but quality menu of German food, wine and beer. We particularly enjoyed a celery root schnitzel topped with sour cream and salmon roe with a refreshingly simple carrot salad on the side. They make a damn fine pretzel, too. Reasonably priced food and a free Beethoven Sonata marathon is the good life on a budget. We’re always looking for experiences like these that exceed expectations relative to price. 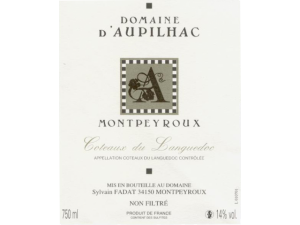 Indeed, the night before last we opened a bottle of 2010 Domaine d’Aupilhac Montpeyroux Rouge. Here is a wine with loads of structure, tannin and acidity in balance, and lively with ripe fruit, leather, tar and dusty stones. At times juicy but mostly dry with promises of developing remarkable complexity over several years in the cellar. Hardworking winemaker Sylvain Fadat believes that effort in the vineyard has the most influence on the quality of his wine. On terraced land 1200 feet above sea level with southwest sun exposure, he coaxes 35 year old vines to root deep into soils of limestone, clay, scree, and blue marl with prehistoric oyster fossil deposits. The resulting blend of 30% Mourvèdre, 30% Carignan, 25% Syrah, 10% Grenache, and 5% Cinsault is about as good a Coteaux du Languedoc that you’re going to find for the price. Keep your eyes on the commune of Montpeyroux as one of the leading terriors in the region. This wine may not be so inexpensive for long.